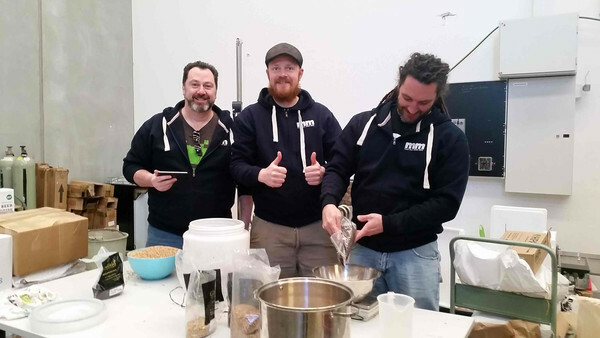 Always wanted to find out what brewing involves and how to get into it? Or perhaps you're already making beer and looking to share your creations? Then join the Merri Mashers below or come check us out at a club meeting! You are welcome to attend up to two standard meetings as a non-financial member. Access to enter club competitions as a Merri Masher. Access to the club equipment library to borrow club brew gear - e.g. Grain Mill, Kegs, 5 Tap Font, Jockey Box and more. Invitation to attend all club functions, including tastings, competitions, discounted events and interstate beer tours. 10% off at Home Make It and Clever Brewing across their entire range. For Home Make-It, simpy show your current member card at either location. For Clever Brewing simply email Clever Brewing once you have created your account on their website. 50% off your first craft beer and 25% off subsequent beers at the Terminus Hotel on club nights.